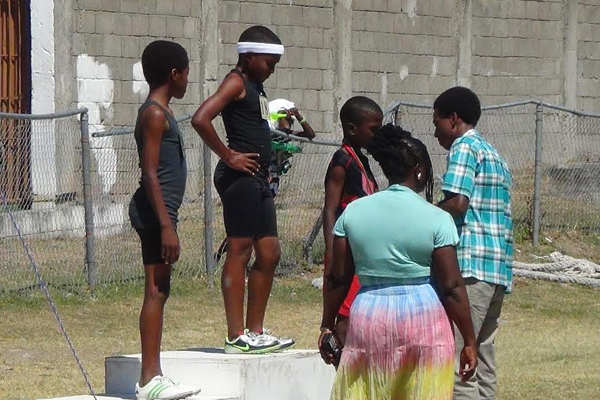 (Sports Page)– The Maude Cross Preparatory School held its annual cross country events at the ET Willet Park on Monday 10th March under the distinguished patronage of top athlete and former student, Sadiki Tyson. The children competed in the 60, 100, 200; 400, 800 and 1200 meters races, along with the exciting relays which included the 4X100 maters and a special relay event for the tiny tots, which really got the moderate crowd going. Carlon Tuckett, as expected was the biggest draw on the day, along with Ammani Williams—both of whom are expected to feature in a big way, come Inter Primary 2014. There were also several fun races which included, ‘late for school’ and fill the bucket races.